The founder of CAAIR has said participants' wages go to cover the cost of their room, board and counseling. Two men who were forced to work for free in a court-ordered drug rehabilitation program have filed a class-action lawsuit, alleging racketeering, human trafficking and labor law violations. It is the second federal suit filed in a week against Christian Alcoholics & Addicts in Recovery, or CAAIR, and the major poultry company where the men worked, Simmons Foods Inc. The two lawsuits come on the heels of an investigation by Reveal from The Center for Investigative Reporting, which found that judges across the country have ordered defendants into drug rehab programs that double as work camps for for-profit companies. Reveal’s investigation focused on CAAIR, an Oklahoma program that puts hundreds of men a year to work slaughtering chickens at processing plants. The program spares men charged with crimes from prison. They work for free, under constant threat of being sent to prison, on products for big-name brands, including Popeyes Louisiana Kitchen, KFC, Walmart, PetSmart and Rachael Ray’s Nutrish pet food. The rehab program keeps their wages. The new lawsuit claims violations of state and federal labor laws, which require employees to be paid at least minimum wage and overtime. It also claims that CAAIR’s founder, Janet Wilkerson, violated the Racketeer Influenced and Corrupt Organizations Act by “conducting the affairs of CAAIR through a pattern of holding persons to involuntary servitude.” Simmons Foods, a $1.4 billion company, conspired with Wilkerson, according to the suit. 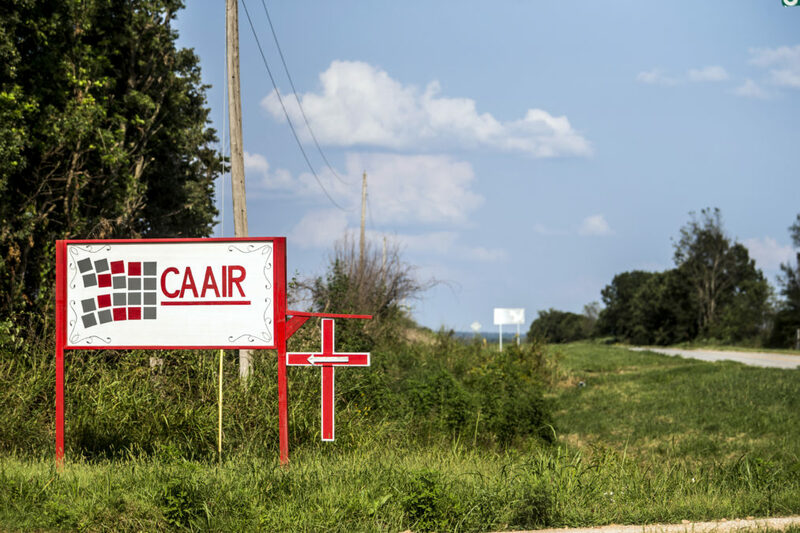 CAAIR “operates a forced labor camp – enterprises long outlawed in Oklahoma, in the United States and, indeed, throughout the civilized world,” the complaint says. Miller-Allen and fellow plaintiff Bodhi Starns are seeking unpaid minimum wage and overtime pay, along with attorneys’ fees and other damages. “While we cannot speak directly to the lawsuit, CAAIR is proud of the work it does every day in our voluntary recovery program, giving men a second chance to achieve a life other than addiction,” CAAIR CEO Janet Wilkerson said in an email. “We intend to fully defend ourselves in court and believe the judicial process will bear out the many recent misrepresentations of our program and testify to the good work CAAIR has accomplished in changing lives,” she said. Simmons Foods did not respond to requests for comment. The Oakland, California-based law firm Aiman-Smith & Marcy filed the complaint. It is unclear how the federal court will handle the two lawsuits. At least 25 men who went through CAAIR have signed on to the first class-action suit. According to the attorneys, one possibility is that the two lawsuits could be consolidated in federal court. While CAAIR has grabbed the most attention, it isn’t alone in making participants work for free. Participants in similar rehab programs have worked at a Coca-Cola bottling plant in Oklahoma, a construction firm in Alabama and a nursing home in North Carolina. Other rehab programs also put defendants to work in chicken plants. This post has been updated to include comment from CAAIR. Was your rehab a work camp? Tell us about it. Amy Julia Harris can be reached at aharris@revealnews.org, and Shoshana Walter can be reached at swalter@revealnews.org. Follow them on Twitter:@amyjharris and @shoeshine.